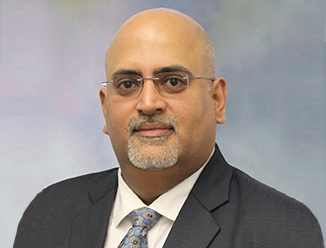 Ram Chandnani leads the Advisory and Transaction Services business at CBRE India, and has been associated with the firm since 1997. In his present capacity, Ram is responsible for developing execution strategy, and enabling growth in India. He also provides executive oversight for the A&T vertical in India. With over 23 years of experience in the real estate sector, Ram is considered a trusted advisor and partner to various multinational and Indian corporates. Having multi-disciplinary exposure, he has worked with clients across industries and asset classes, assisting them with their realty strategies, ensuring optimum and well-informed decisions. Many occupiers have benefited through his expertise and approach in advising, complex leasing, dispositions, Built-to-Suit, land and investment transactions, and consolidation strategy. Through his tenure at CBRE, he has seen the vertical evolve and grow into one of the largest businesses for CBRE in India. Ram is an acknowledged real estate expert, and is well known for his relationships with occupiers, developers and investors across the country. With the evolving India market, he continues to be engaged in providing global occupiers insight into uncovering opportunities in India. Ram is the Co-Chair for CoreNet, Global in India and an active participant in the industry eco-space across realty forums like RICS. Ram holds a Bachelor’s degree in Commerce from Christ University, Bangalore.